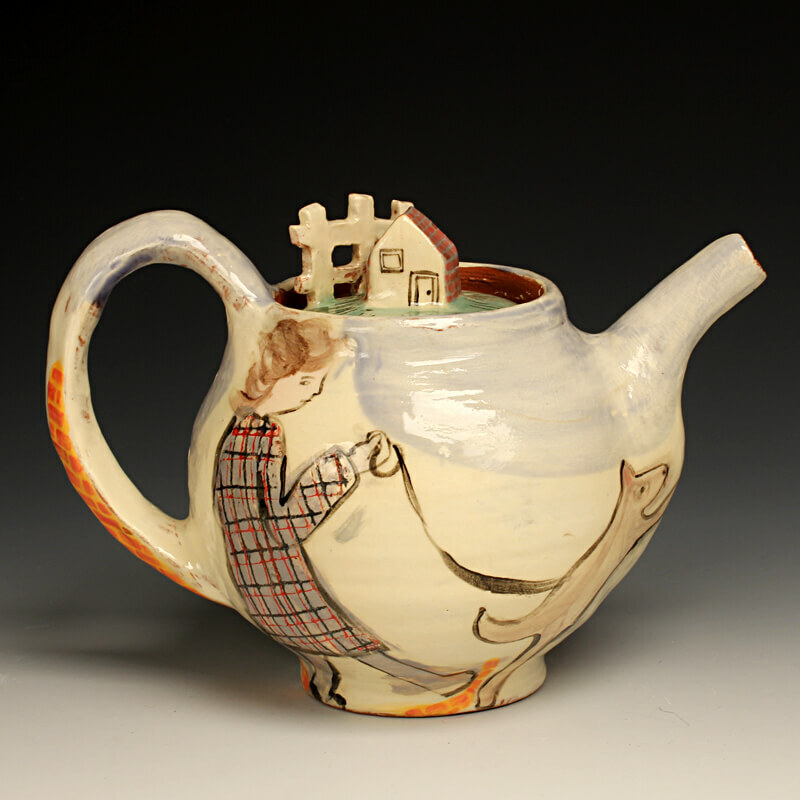 Donna Flanery is a resident artist at The Clay Studio of Missoula, having recently moved from Asheville, NC. She received her MFA from the University of Florida in 2013 and her BFA in 2005 from the University of Montana. Between academic endeavors she has been a resident artist at The Archie Bray Foundation, Helena, MT (2007-2009), The Northern Clay Center, Minneapolis, MN (2006-2007), The Pottery Workshop, Shanghai, China (2009-2010) and The Zentrum fur Keramic, Berlin, Germany (June 2013). She has been spreading the good word of clay through teaching classes in all of those places and at Odyssey Clayworks in Asheville, NC. (2013-2015). Like the characters in children’s books, the characters of my work are friendly. The childlike imagery delivers cheerfulness and innocence. These narratives take place in settings of daily life transformed. I incorporate sculptural elements reminiscent of pop up book design. Imagery reveals itself from different angles. Intuition, play and the subconscious are the source materials I use for developing imagery, allowing me to make connections that do not happen through rational, linear thinking. By placing these images on utilitarian pottery, I am able to introduce my friendly drawings directly into the viewer’s everyday life.